Thank you for visiting Ocean Ridge Plantation, home of the award-winning and nationally-recognized Big Cats golf courses – Leopard’s Chase, Tiger’sEye,Panther’s Run and Lion’s Paw. This ferocious foursome is conveniently located in beautiful Sunset Beach, NC, a sparkling jewel of the South Brunswick Islands. Just 20 minutes from downtown Myrtle Beach, SC, and 30 from historic Wilmington, NC, Ocean Ridge Plantation offers access to 72 holes of premier golf, fun-filled days at the beach and an endless variety of exciting entertainment venues. The Big Cats feature challenging holes for all levels, beautiful landscapes, exciting elevation changes, diverse fairways and sloping greens for an unparalleled golfing experience in coastal North Carolina. All of the courses have been designed to take advantage of the land’s natural setting, providing a unique personality for each hole. The Big Cats are always perennial favorites for rankings and accolades. Recently the North Carolina Golf Panel Rankings have listed us among the “Top 100 Courses in North Carolina” and Golfweek’s “Best Courses You Can Play, State by State” once again features Tiger’s Eye and Leopard’s Chase in their exclusive list. Tiger’s Eye has earned 4 1/2 stars from Golf Digest’s prestigious “Places to Play” rankings. Leopard’s Chase has been ranked in the Top 5 among GOLF Magazine’s “Top Courses You Can Play – State by State”. Panther’s Run was included in Golf Digest’s esteemed list of the “Top 50 in Myrtle Beach”. The Lion’s Paw & Panther’s Run Clubhouse was named one of “America’s 100 Best Golf Shops” by Golf Shop Operations magazine. We’re looking forward to seeing you out on the links soon, but please check out the many things you can do right here on www.bigcatsgolf.com. Have an event to plan and want to know about large group rates? Are you striving to improve your game or do you want to size up a course before tee time? How about the opportunity to win free golf in the greater Myrtle Beach Grand Strand area? After you’ve cruised through our Ocean Ridge Big Cats’ website and finished reading about the courses, downloading yardage books and previewing each hole… don’t forget to book your tee time. Each month we randomly draw one lucky winner for a FREE ROUND OF GOLF for you and a guest on the award-winning Leopard’s Chase Golf Links. 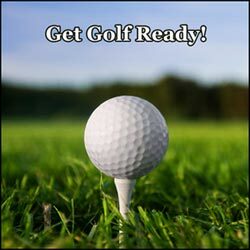 Get Golf Ready is designed to teach everything you’ll need to know to play golf in just a few lessons. PGA Professional – Gary Webber will show you there are many ways to enjoy a day at the golf course by combining fun, friends and fitness. For more information visit our Golf Academy page and join those already enjoying the greatest game ever played!